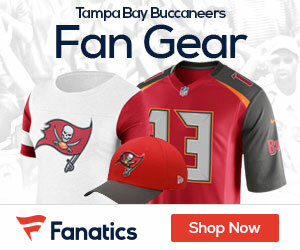 Five turnovers were enough to do in the Bucs Sunday, as the Rams with a strong effort from the defense beat Tampa 28-13. The loss puts the Bucs at 6-9 on the season, while the Rams are 7-7-1. The Bucs turned the ball five times and was stopped on downs twice inside the Rams 10, as they fell for the 5th straight time. The Bucs also had five turnovers the previous week in a 41-0 loss at New Orleans. Tampa Bay outgained the Rams 429 yards to 285, with QB Josh Freeman going 30-for-54 for 372 yards and one TD. But the Bucs simply were unable the fourth-year pro being intercepted four times for the second straight week. Mike Williams scored on a 61-yard reception and had seven catches for 132 yards. Vincent Jackson also had a big day with seven receptions for 108 yards, while the Rams limited rookie Doug Martin to 62 yards rushing on 18 attempts. Freeman followed one of the worst performances of his career with another awful outing. He has thrown eight interceptions in the past two weeks after only having three passes picked off over the previous eight games. Mike Williams slipped to the ground on Janoris Jenkins‘ interception, which he took back for a score. The Tampa QB tried to force the ball into a crowd in the middle of the field when he was picked off by James Laurinaitis. Steven Jackson rushed for 81 yards and one TD, moving within 10 yards of reaching 1,000 for the eighth consecutive season. The Rams can finish with a winning record for the first time since 2003 by beating Seattle next week. The Bucs will wrap up the 2012 season at Atlanta next Sunday.